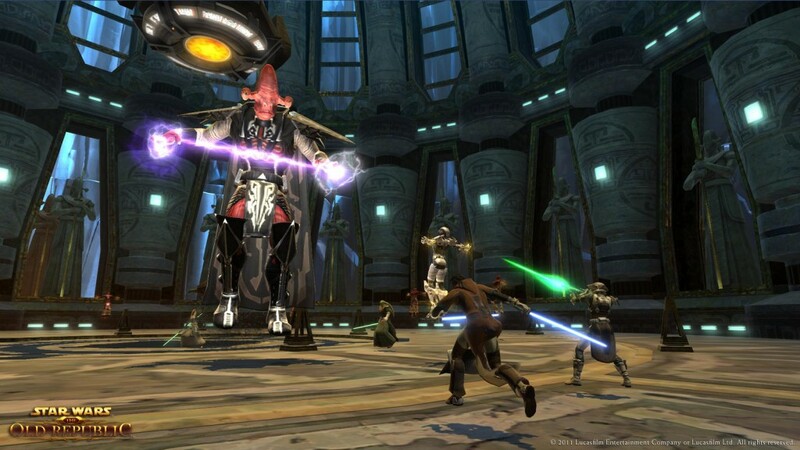 Another great week to be a fan of Star Wars: The Old Republic and Corellian Run Radio. I’m sure by now most everyone has heard about the “HUGE” Beta test. You can read more details about in Bioware’s Beta announcement. In Dev notes, Stephen Reid confirms the targeted dates for the Beta Testing Weekend and says to check your email for specific details. Thank you Bioware! Corellian Run Radio has a new staff writer, Maer. She will be writing a weekly column, My Two Credits. Be sure to check it out. The guys from “Sunny’s Diner” stopped by the CRR podcast and brought their “casual” to the show. The ladies made an appearance on the podcast, “Pink Side of the Force”. Lots of great info from Republic Trooper, MMORPG.com and much more, so let’s punch the hyperdrive and go. When will the Beta Testing Weekend start? We are targeting November 25-28 for our upcoming Beta Testing Weekend. Exact timing on when you will be invited will be specified in your invite email. Just a reminder that if you were a registered member of our website on or before November 11th, 2011, you will be invited to the future weekend test. Regardless of whether you received an email last week or not, please do not take beta keys off of any external websites if you are already a registered member of our site. Let’s leave them for the more needy, please. 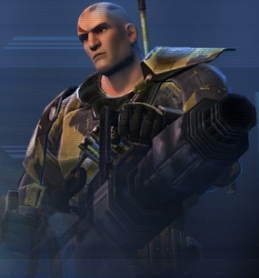 This week we look back at an interview Republic Trooper had with Georg Zoeller. The interview focused on the combat mechanics and abilities of the Trooper class. It is really a great article and huge kudos to Republic Trooper for the wonderful write up and interview. 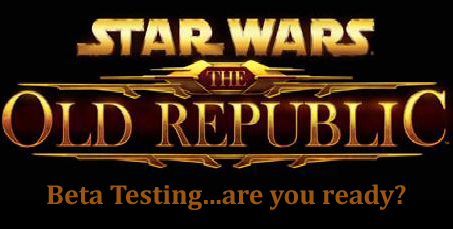 Republic Trooper: We’ve spoken with some large guilds that are intending on running exclusively with Troopers. How viable would it be to attempt Flashpoints and Operations with only the Republic’s finest? Georg Zoeller: Absolutely possible. The screen might get a bit busy from all the gunfire, but other than that, there’s nothing that would prevent you from doing this. You’d obviously have to bring team members from both Advanced Classes (Vanguard and Commando) to cover all bases. Be sure to check out the rest of the Republic Trooper site and don’t miss their fan fiction, Lost Tales of the Republic. Speaking of the Trooper class, did everyone see the Republic Trooper versus Sith Inquisitor video? It showcases footage of gameplay and developers from both classes discussing why their class would win. If you haven’t seen it, go check it out. Which class do you think would win? Let us know in the comments below. Remember to checkout Maer’s new weekly column, “My Two Credits.” If you missed Maer’s first story or any other of our articles or columns, don’t worry a bit, Corellian Run Radio has you covered! Just below we have all the top stories just a click away. 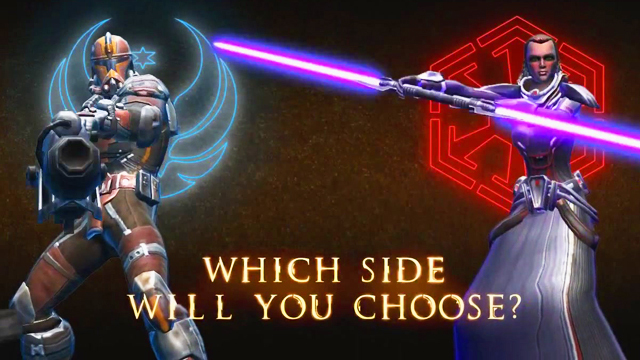 This week for the video section, I went away from the music videos, but still focused on Star Wars: The Old Republic. Many of you may know “Pokket” from GameBreaker TV. She also does a lot of live streaming for various games. Now she has a video column at the MMORPG.com website. This week she discusses her time in SWTOR Beta. There is no NDA violation here; she is part of the media and only talks about her adventures on the Republic side up to level 16. If you want to keep tabs on her you can follow her @Pokketsays. The image this week is another intense fight scene from the Eternity Vault. This time we see the end boss, “The Infernal One.” He looks very upset to see “visitors”, to say the least. Do you think that you and your fellow gamers can take this boss down? That’s all this week from the HoloNet Links at Corellian Run Radio. Only 32 days till release folks! I want to wish everyone safe travels, as they maybe heading to family gatherings for Thanksgiving next week. Don’t worry about missing any stories the HoloNet Links at CRR will have you covered.